If you've gotten into Elf on the Shelf then you know that the possibilities for silly and scandalous poses are endless. There are simple ideas that have children and adults alike rolling on the floor laughing. Then, there are those setups that can only be done late and night and would look at home in a very silly heist movie. 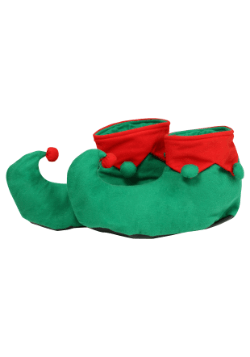 If you're like us then you've probably scrolled through Pinterest and giggled to yourself as you see genius posts of the classic elf doing out of the box things. The elf has been spotted using a crockpot as a hot tub, gorging on popcorn in the microwave, and chowing down on stolen dog treats. The fun things to make these classic dolls do are endless. 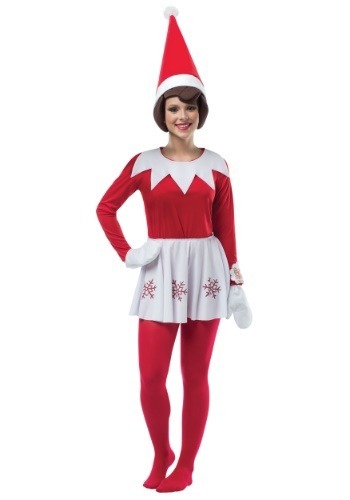 And here's the thing, you can get into just as much mischief if you dress up as an Elf on the Shelf! No, we won't expect you to shovel reindeer poop that looks suspiciously like raisins or chow down on dog treats but we can get you'll get away with a little more than usual! Steal a bite of donut from your buddy? 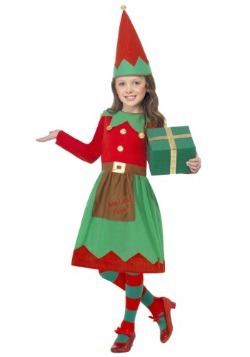 What can she say, you're a mischevious little elf. People might walk in on you perched on top of the refrigerator, wrapping yourself in brightly colored paper and ribbons, or even stealing your own Christmas tree with all the trimmings. 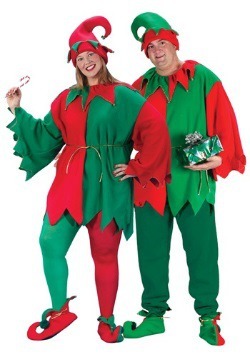 Or maybe you're a well-behaved elf, to each their own! This costume includes a red shirt, snowflake skirt, pointy hat, and a white pair of mittens. Whatever you're up to, it's sure to be a holiday hit!